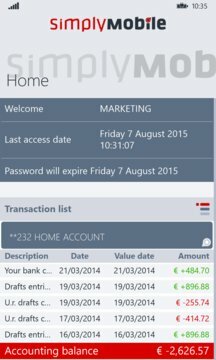 A whole-new mobile banking application available for Windows Phone. 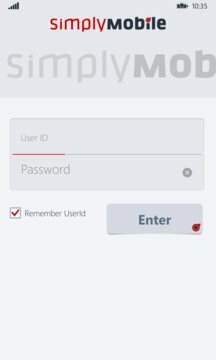 SimplyMobile is a simple, flexible, reliable and secure management console for your current accounts. If you are a SimplyBankWeb©, BancaincasA, Banca in linea or Mito&C user and SimplyMobile is included in your bank product suite, you can easily log on using your Internet Banking credentials (User ID and Password). Otherwise, ask your bank for further information.